Kushari, often transliterated as koshary, kosheri or koshari, is a popular traditional Egyptian national dish. It consists of a base of rice, brown lentils, chickpeas, macaroni, and a topping of Egyptian garlic and vinegar and spicy tomato sauce (salsa). 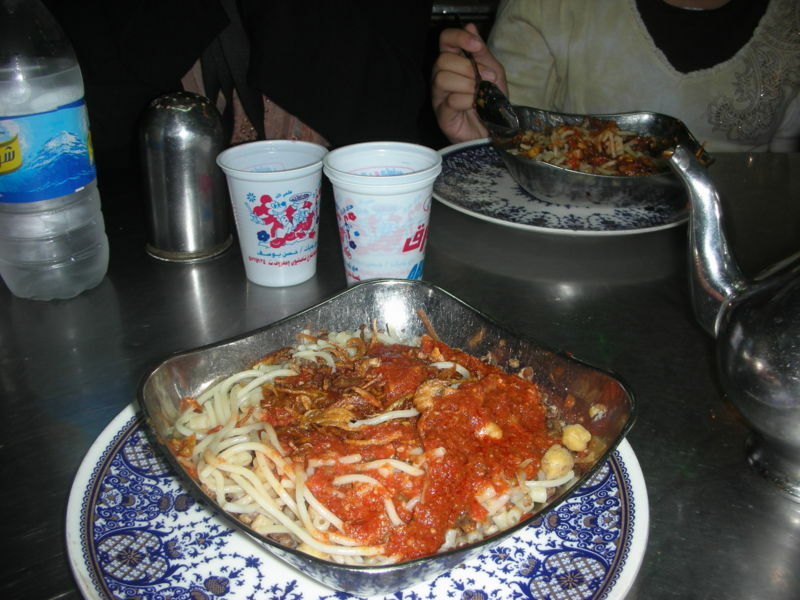 Left: Kushari served at an Egyptian restaurant in Cairo. Caramelized onions are commonly added as a garnish. Kushari is normally a vegetarian and usually a vegan dish. It is becoming common to add fried liver or shawarma meat as an additional topping. Kushari is one of the most popular, inexpensive, and common dishes in Egypt, and many restaurants specialize in this one dish.